Sold delivers a dark yet energized brand of bruising punk rock. The 4 track EP arguably ends a little too fast. It leaves you wanting more from the murky pool they culled these sinister sounds from. The good news is they already have more coming down the pipeline, but we’ll touch on that later. “Jay” opens with some nasty feedback, laying down a gravel-coated path for spiny guitars, deep bass throbbing and gut-busting drumming. They quickly create the sense that the next 10 minutes will be like the equivalent of getting smacked in the chest by a sack of bricks. The thud continues with EP highlight “Free,” which is spearheaded by sharp, dagger-like guitars and Quann’s concerned tone – “don’t let me slip away/ inside my head,” he begs. Their relentless energy spills over into “Never.” It’s a short but propulsive anthem, driving forward with an electrified punch that simply does not care for any of the destruction it leaves behind. Suddenly you’re lost in a torrent of stressed guitar squealing, drowning out everything except for some inaudible spoken words and a much more obvious scream. The trio cools down in “Times,” slowing the pace so we can all catch our breath. It’s a short closing statement, but potent nonetheless. The track is built around a two-pronged bass and guitar attack – imagine a musical double helix coated in gunk, if that makes any sense – that together sound wiry and all tangled up as they unravel this ball of fury. You made it this far? No doubt you are required to take roughly 10 minutes out of your day to listen to the EP below. For even more, stay tuned to Hits Direct, where the band will be releasing their first physical output in the form of a 7″ in mid-June. The working title is Feels Unreal and it will include four brand new songs that were recorded at Headroom Studios with local legend Kyle Pulley. Catch the band live on Saturday, June 9th at Ortlieb’s – they will be sharing the stage with Heavy Vessel and Dull Knives. See you there? DOWNLOAD the EP for FREE while you can! 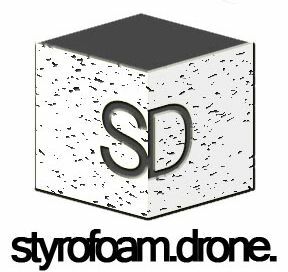 Posted on May 25, 2018 May 25, 2018 by styrofoamdronePosted in Demos, Live Stuff, EP, ReviewsTagged garage rock, Philadelphia, post-punk, punk.